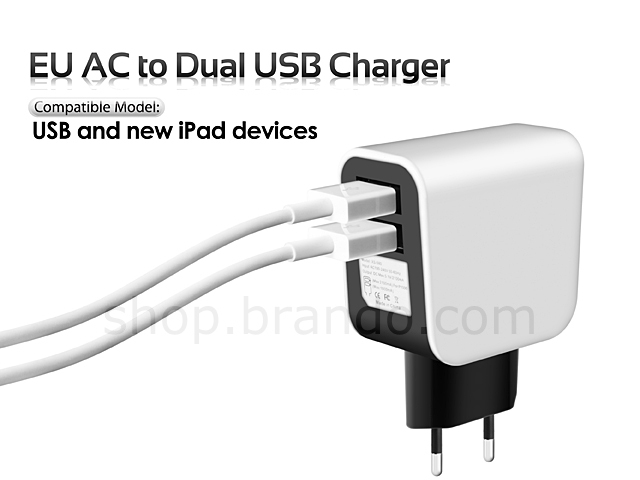 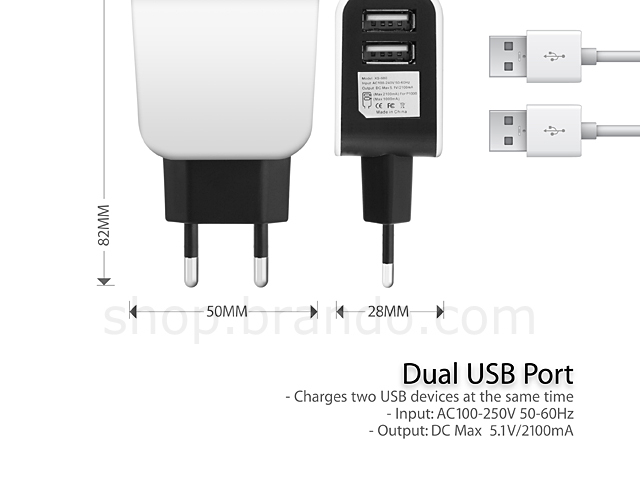 Europe type AC adapter with two USB ports input. 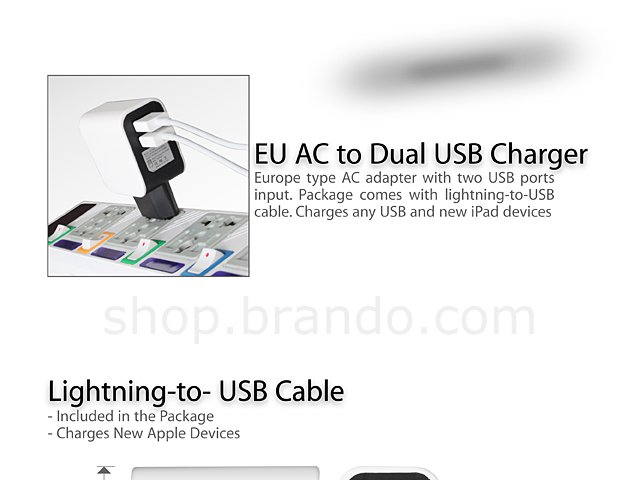 Package comes with lightning-to-USB cable. Charges any USB and new iPad devices.